Declan Donnelly has been our hero over the past year or so, in which he has had to battle his way through Saturday Night Takeaway, Britain’s Got Talent and now, I’m A Celebrity Get Me Out of Here! without his right-hand man, Ant McPartlin. Presenting a number of high-profile shows means Dec can pretty much ask for however much on his play slip that takes his fancy, which is why we weren’t too shocked by the salary he’s said to have earned in 2018. 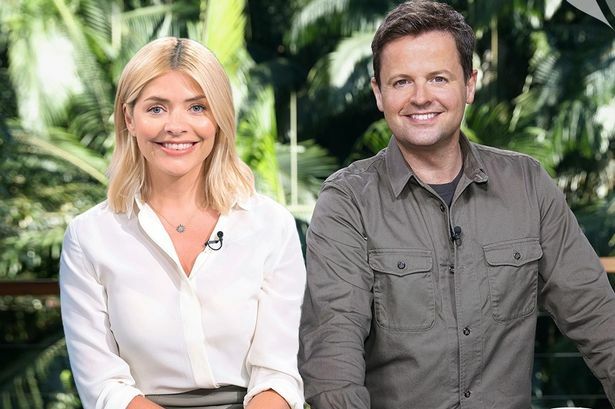 A few days ago, we found out that Holly Willoughby (or Ant’s stand-in) had almost doubled her salary after she took on the presenting role alongside Declan Donnelly for I’m A Celeb. She’s been put through her paces with having to watch some of the gruesome and spine-tingling bushtucker trials, despite being a self-confessed wimp when it came to bugs or anything remotely gross. The star already earns around £2.5 million per year for her current projects, however, her last-minute stint on the jungle has certainly bumped up that figure to a whole new level. According to the Daily Mail, Holly’s presenting stint (for just a couple of weeks of work – let’s add!) has doubled her salary to an impressive £5 million. Ant is believed to have earned less than a quarter of Holly’s asking fee. Over three weeks of presenting in the jungle, there are claims he earnt around £23,000 per day, therefore, just £500,000 throughout the series. Holly’s stint on the show has, however, bumped viewing figures right up in comparison to 2017 and bosses of the show had ‘popped open the champagne’ in celebration. Last year, the first show of the series raked in 10.2 million, while this year saw a huge 11.9 million tune in. Will Holly Willoughby put an abrupt end to Ant and Dec’s partnership? This year marks the very first that Ant and Dec haven’t presented together throughout their 21-year partnership and there have been predictions that Holly Willoughby may have thrown a spanner in the works for the future of their iconic duo. Dec has presented I’m A Celeb for 16 years alongside Ant; starting way back in 2002 when the show first came on the air. Each year since, they have successfully picked up the award for ‘best presenter’ at the NTA’s. Bookies have now put their bets on that Holly could change it all, meaning their 16-year win could be coming to an abrupt end. An insider claims that bosses have been really impressed by Holly’s performance, in which she has significantly raised viewing figures and added a whole new dimension to the show. How much is Dec being paid this year? It’s no secret that Ant and Dec are two of the highest-paid presenters in their business, but Dec’s salary has been revealed and you probably won’t believe just how much he has scooped. Last year, Ant and Dec’s salary was revealed through the Companies House for their own businesses named Deecourt Ltd, Teecourt Ltd and Hurley Promotions. In 2017, the presenting duo were being paid an eye-watering £79,000 per day, but Ant’s salary will have significantly dropped during 2018, after deciding to back away from the public eye due to personal struggles. In 2016, the duo were given a huge £30 million contract which was expected to last until 2019, however, there have been no reports as to whether this contract is still in place and what the future is set to hold. If this year’s campmates didn’t have enough to deal with in terms of the bugs, sleeping conditions and lack of food, they may now be facing a removal from the camp due to an expected natural disaster which could hit over the next few days. Bosses are terrified that deadly wildfires in Queensland could be about to rip their way through the jungle and put the celebrities at risk. Over 8,000 residents in the Queensland area have already been evacuated out of their homes and this deadly blazing inferno is now just 60km away from the camp. Despite the high level of threat, bosses already have backup procedures in place in the event of a wildfire or extreme flooding, so rest-assured the campmates are in safe hands to an extent. Back in 2015, the celebrity campmates were rushed into the Bush Telegraph when a dangerous storm hit Queensland.